If you are reading this, you probably think you or someone you know may be pregnant and are asking, “What now?” Like any other big decision in your life, you want to understand your choices, any risks, and how the decision you make today may impact your life tomorrow. We are here to help. Our trained client advocates and nurse manager can help provide the information you need, answer medical questions you may have about pregnancy and sexual health, or just listen to your concerns. We offer you a safe confidential environment to safely explore your abortion options near Long Valley & Lebanon Township NJ. Most clients tell us there are more options available to them than they realized. Our services are free, confidential, and respectful of you and your choice. Have I researched all of my options? Do I understand all of the potential risks involved with each type of abortion? Have I discussed my situation and my concerns with someone I can trust? Have I had an ultrasound to determine if the baby has a heartbeat, is in my uterus, and to see how far along I am? Do I fully understand the type of abortion I would be eligible to have based on the age of my baby? Why should the abortion physician performing my procedure have admitting privileges to a local hospital? Am I forgetting anything? What about adoption and parenting? Care Net Pregnancy Resources has been dedicated to helping women, men, teens, and families making unplanned pregnancy decisions since 1986. Reading this information is your first step to being informed about your choices. Making an appointment at Care Net is the next step. 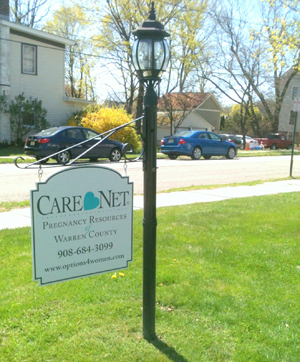 Care Net Pregnancy Resources provides limited medical services to women facing unplanned pregnancies, including free pregnancy testing and limited obstetrical ultrasound. We also provide information on abortion procedures and risks, as well as, pregnancy options and support. We are not an abortion clinic nor do we refer for abortion. All services are free and confidential.